Strasbourg, Nov 13, 2018 (SPS) - The Speaker of the Sahrawi Parliament, Jatri Adduh, arrived in Strasbourg on Tuesday at the head of a Sahrawi delegation for meetings with members of the European Parliament and its various commissions on the EU-Morocco fishing agreement. The visit aims to reiterate the position of the Frente POLISARIO against attempts to circumvent the judgments of the Court of Justice of the European Union that has ruled on the inapplicability of trade agreements between the EU and Morocco. The territory of occupied Western Sahara as ruled by the successive resolutions of the CJEU, is distinct and separate from the Kingdom of Morocco and any agreement, which covers the Saharan territory and its adjacent waters, must pass through the consent of the Saharawi people through its sole and legitimate representative, the Frente POLISARIO. The Saharawi delegation will also hold meetings and consultations with European legislators during the sessions of the European Parliament in Strasbourg. 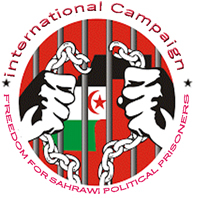 The president of the Saharawi Parliament said that the Frente POLISARIO will continue its legal battle in the courts against those who dare to exploit the Saharawi natural resources and if the European governments renew the commercial agricultural agreement and the fisheries agreement with Morocco, it is decided to go to the Court of Justice of the European Union. The delegation consists of the Delegate Minister of the POLISARIO to the EU, Mohamed Sidati and the Deputies, Salek Elmehdi and Mrs. Chaba Seini.